One Sweetheart of a giveaway. A box of chocolates from Rocky Mountain Chocolate Factory will be at your table. Jewelry provided by Leonard Jewelry. TV-31 is proud to partner with Leonard Jewelry, Colonial Florist, Rocky Mountain Chocolate Factory, DaVinci’s and the Carmike Cinemas to bring you the Sweetheart Package. 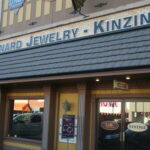 You and your significant other will enjoy a night on the town. Start with a romantic dinner at DaVinci’s. 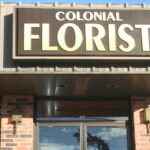 Once there, she will hear, “I love you,” a dozen times, once for each rose provided by Colonial Florist. 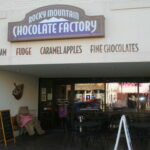 Sweets for the sweet are included with a box of chocolates from the Rocky Mountain Chocolate Factory. Next she will be blown away by the sterling, enamel and diamond heart pendent necklace. This $275 value Power of Love pendent necklace can be doubled or left long and features a magnetic closure with no clasp. 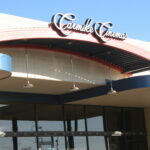 After dinner, take in a movie with four tickets for the Carmike Cinemas. TV-31 will be to take pictures of you and your date on your special evening. Your amazing experience will be featured on the February 17th Morning Edition. Entering is simple. Just like our Facebook page at www.facebook.com/TV31Stillwater and you will be entered. You can also enter by sending us an email. The drawing will be held on the February 13th Morning Edition.